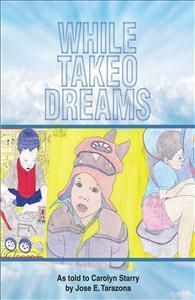 Jose E. Tarazona is the artist behind the drawings in While Takeo Dreams. Every parent and anyone who has loved a child, will recognize his deep devotion to his family. Jose E. Tarazona is the artist behind the drawings and the stories “While Takeo Dreams.” He shares with you the inspiration of each drawing with a companion story or a poem describing what was in his mind as he created the drawings. Look at the art. Read the stories for yourself. Let him awake new thoughts in your world of imagination. What will you see? How will you interpret the drawings?